So it’s decided, you’re going to Florence, Italy. You’ve heard endless stories about the Cradle of the Renaissance. From the amazing architecture and incredible art. Now, It’s time to experience it with your own eyes; The Duomo, the Accademia Gallery and especially the Uffizi Gallery. 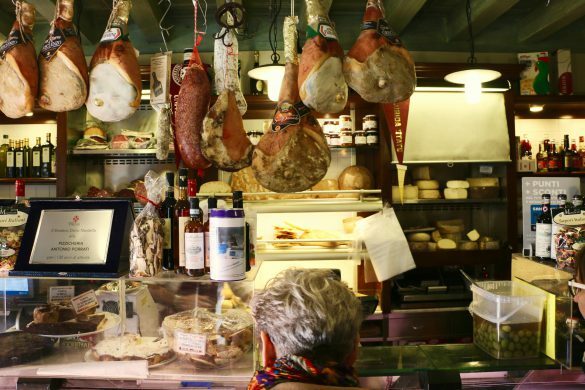 Are you planning a trip to Florence? The Uffizi Gallery is only one of the incredible places located in the Cradle of the Renaissance. We offer several outstanding Florence tours to help you make the most of your time in Italy. Skip the lines and access the most authentic experiences possible. Did you know that the Uffizi is one of the most visited museums in Italy? Packed with artwork from renown Italian Renaissance artists, the Uffizi Gallery is a must-see attraction for any art-lover. For good reason, lines to buy Uffizi Gallery tickets can last up to five hours during the high season. Therefore, it’s vital to plan ahead before you go. Whether or not you decide to go it alone or join one of our English-speaking tour guides on a Uffizi Gallery guided tour, here are some useful tips to ensure that your visit is a success. 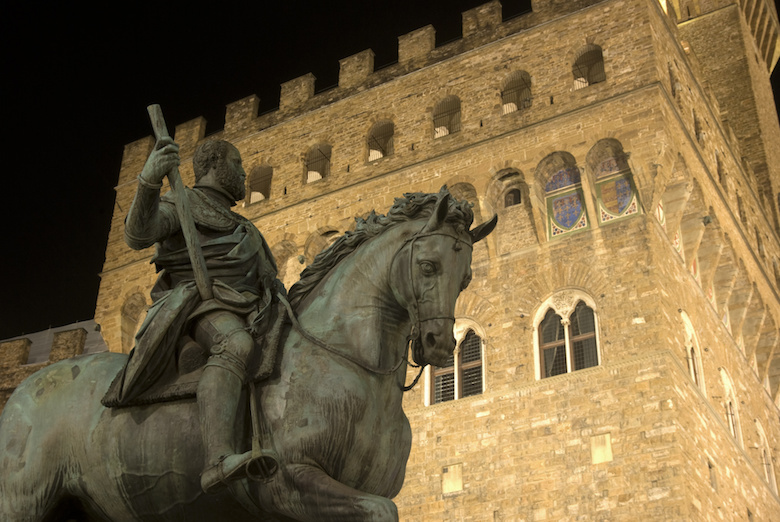 Giorgio Vasari began construction of the Uffizi building in 1560 to house the offices of Cosimo I de’ Medici (the guy on the horse pictured above!). Florence’s first Grand Duke of Tuscany. You’ve almost certainly heard of the Medici family. This wealthy Florentine family started the the Medici Bank of Florence, the most important financial institution in 15th-century Europe. Following the completion of the building, the Medici family began to add their collection of artwork to the building, creating their own private gallery. But beyond art collectors, the Medicis were also important patrons of art. Without their financial support, many of the most renown works of art housed in the Uffizi Gallery might never have been created. With the end of the Medici Dynasty in the 18th century, the last heir of the family, Anna Maria Luisa de Medici, signed a family pact with the Lorraine family. This declared that all the Medici collection should remain in Florence and that it should only be used for decoration purposes and for the utility of the public. Ultimately, the Uffizi Gallery opened it’s doors to the public in 1769. Of course, during the nineteenth and twentieth centuries, the Uffizi Gallery was enriched with new sculptures and paintings. To this day, the Florence museum is continuously expanding it’s collections to include more artwork. If you consider that the Uffizi Gallery sees millions of visitors a year, it’s almost guaranteed that there will be a long queue at the entrance. Then again, if you visit during the low season, you might be lucky enough to just walk in. It’s unwise to expect this though, the situation is unlikely. Here are three ways to see the Uffizi Gallery without standing in line. 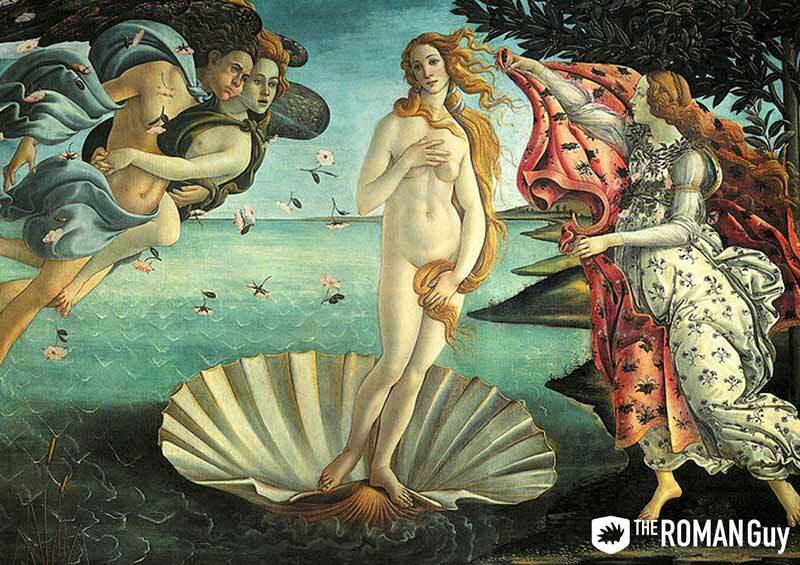 If you want to make the most of your time in Florence, book your Uffizi tickets in advance. This way, you can pick a time and date on the official Uffizi Gallery website. Please note: if you book your tickets online there’s an additional 4€ fee. Although you might still have to stand a short queue to collect your tickets, it’s still much quicker than waiting in the the general line. There’s also an option to rent an audio guide from the Uffizi for an extra 6€. Ticket Prices Online: 16,50€ for adults, 10,25€ reduced ticket. To find out if you qualify for a reduced or free ticket, consult the website. While visiting the Uffizi Gallery by yourself is fantastic, there’s an even better option. If you want to make the most of your visit and see all the best highlights, consider joining a guided small group tour. Led by an English-speaking guide, learn even more about the masterpieces inside the museum and the context in which they were created. 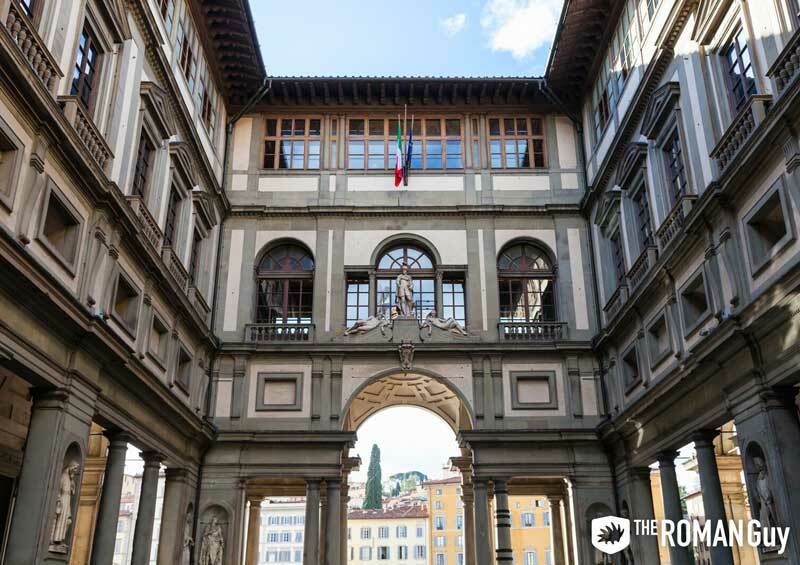 On the Uffizi Gallery Renaissance Florence Tour, skip the lines and walk straight on in! 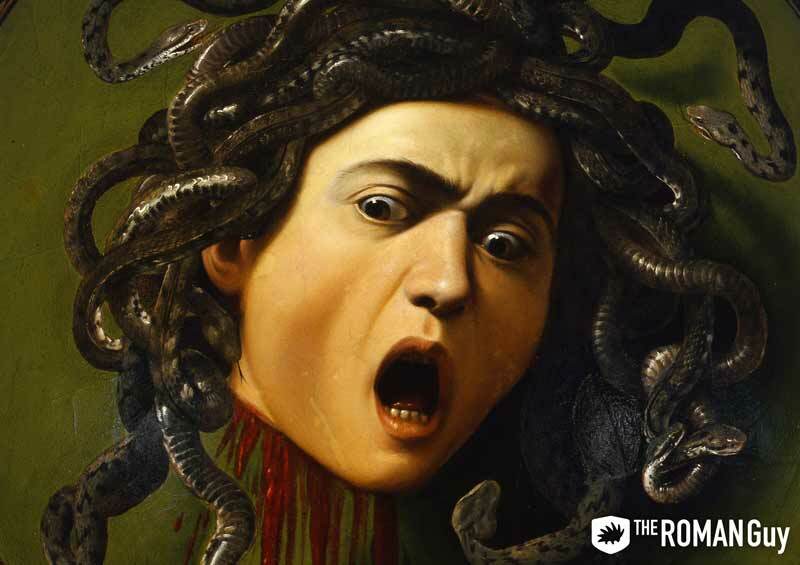 Learn about the significance of each painting and sculpture and the stories behind them. 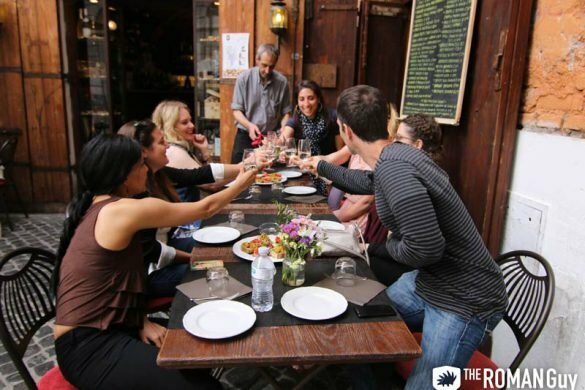 This tour is the perfect way to learn about Florence’s Renaissance art, history and culture in a comfortable and stress-free way. If you want a more intimate experience, a private Uffizi tour is the best way to visit the Uffizi. It will just feel like a knowledgeable friend showing you around town. You can ask endless questions and by the end of the tour, you’ll feel like a Renaissance expert. Wear comfortable shoes. You will most likely spent three to four hours walking around the museum, depending on how much you you want to see. Umbrellas, big bags and backpacks must be left in the Cloakroom. This service is free. 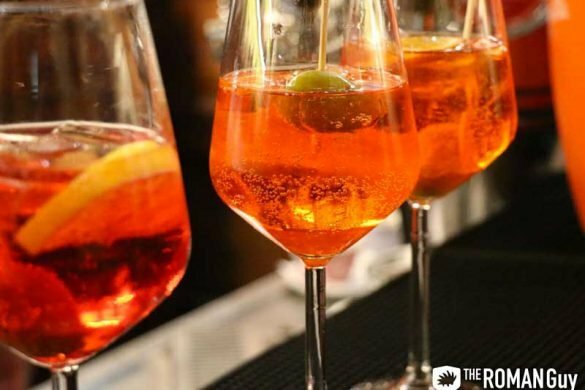 Take a rest and have a drink at the Uffizi terrace cafeteria – the panoramic views are spectacular. Photography with flash and selfie-sticks is prohibited! Make sure your camera and phone is charged, you wouldn’t want to run out of battery. Check out our YouTube video and step-by-step guide about how to Conquer Florence in a Day. If you’d rather let us guide you, check out our tours in Florence. 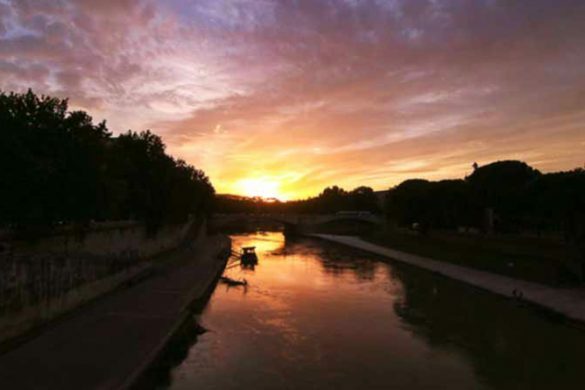 As an expat in Rome, Francesca gets to explore The Eternal City on a daily basis. She is constantly on the move to find the best gelato, quiet side streets and scenic views the Eternal City has to offer and can't wait to explore more of this beautiful country.